As we have all have heard baseball is a game of failure and being able to manage those failures over the course of the season. Lately, I have been seeing a troubling trend with hitters, their idea of success is completely clouted and holds no water. I hear it every weekend, “oh coach I did great I went 4-4” or “I did horrible I went 0-4” success and failure to hitters these days revolves around getting hits. Now don’t get me wrong, I love hits just as much as the next person, BUT I understand that is not the end all be all. The problem with this mentality is that you are judging yourself based off of something that you cannot control. Like it or not, you have no control over getting a hit or how many hits you get. You can certainly influence the number of hits you are probable to get but it pretty much stops there, more on this later. It is downright silly to judge yourself solely based on how many hits you got in your previous game. I like to refer to this as the illusion of control, this is the tendency for people to overestimate their ability to control events, it occurs when someone feels a sense of control over outcomes that they demonstrably do not influence. With this mentality, this leads to a lot of instability in the hitter’s confidence and ultimately, performance. Because they do not have a strong set of goals and their idea of success is off they instead need something concrete to turn to. As a coach, there have been countless examples when I have seen someone go 0-4 and be more of a force than someone who went 3-4 in the same game. When defining success first we need to be able to clearly define the things that we have control over. For me those things include: approach for each at bat/pitch, hitting the ball hard, and getting off your best swing, and being on time. Every one of those is a lot more controllable than trying to find the hole in every at bat. Also, if we do these things well our chances of hitting the ball hard skyrocket, which increases the probability of you getting a hit. It’s much like someone saying, “I want to lose weight,” well if it was as easy as saying it everyone would be skinny. It’s the same thing with hitting, wanting to get a hit is not enough, not by a long shot. You need to have a process to fall back on in order to keep you on track. Having an approach for every at bat/pitch is important because you need to have a good idea of what is coming in order for you to have a chance at consistently hitting the ball hard. Notice I said hit the ball hard, not getting a hit or putting the ball in play. The people who hit the ball the hardest always win. All too often hitters go up and look fastball and adjust or even worse just look to hit the first pitch that is a strike. With the name of the game being hitting the ball hard we need to have a sense of speed, shape and type of pitch it will be in order to have our best chance of squaring something up at close to our max ability. If we have a solid approach then we can have the feeling of being in the batting cage and knowing what is coming. 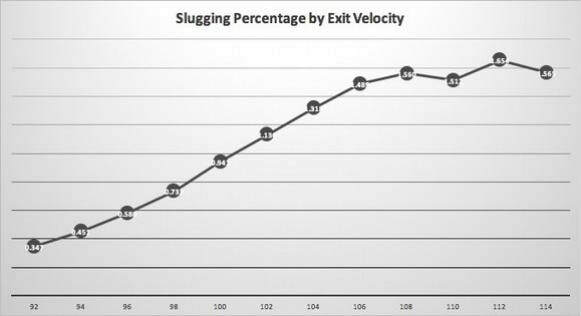 After all a big reason guys hit better in the cage is because they know what speed, type, and shape the pitch is going to be and they can time it up accordingly. With the rise of Trackman, HitTrax, and Statcast this has forever changed how evaluators look at hitting. Now with every swing in just a matter of seconds we are able to see exactly how hard and far Aaron Judge hit his last ball. We are not as focused on batting average as we are BARRELS, exit velocity, or hard-hit percentage. The biggest reason for this shift is that there is more behind these stats that helps tell people more of the story. Batting average is starting to die because there really doesn’t need to be much substance behind it in order for it to be at a respectable level. Hitting .300 does not begin to tell the whole story. Hard hit percentage, barrels, and exit velocity are far better predictors of long term success. Again and again statistics show us that the harder someone hits the ball the more successful they are. In the following graph, I chose to highlight slugging percentage instead of batting average because this metric makes players more valuable to their respective teams. Getting your best swing off goes without saying. Regardless of your thoughts on the swing and your philosophy I think we can agree that consistently putting your best swings on the ball is extremely important for long term success and consistency. 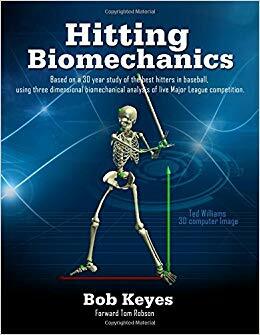 If the hitter is not able to produce a swing that he can rely on consistently then it is highly likely that their performance will suffer as a result. This does not mean that someone with a “bad” swing will not get a hit, baseball is an imperfect science but over the long run the cream will eventually rise to the top. This is why minus some stylistic approaches the best big-league hitters when broken down are actually very similar in their movements. -Start with the foundation in mind. © 2019 Chapman Baseball Compound, All Rights Reserved.